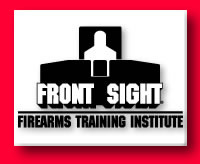 For those students who have attended the Advanced Tactical Handgun and have attended 2-Day Long Gun Tactical courses, this Tactical Scenarios course is your next step in developing mastery in the art of combat tactics. There is a problem playing this video. Please make sure you have the latest version of the Flash Player installed and restart your browser. If you can`t play flash videos, try watching another version of it. This course is focused on force-on-force training in our tactical simulators. After a brief live-fire tactical review, you will engage the instructors and other students using Air Soft weapons. This is as close to real gunfighting as anyone can make it without getting physically hurt. Following each scenario, a tactical debrief will address the positive actions of the students and constructively critique those areas needing improvement. Tactical simulators will also address multiple adversaries in low-light and night environments. You will NOT need any special protective gear. You will also need your regular, carry handgun for the live-fire portion of the course.